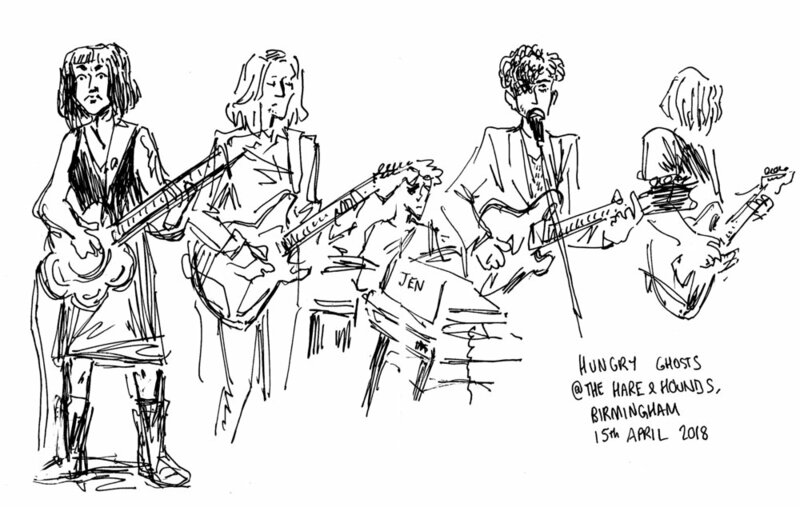 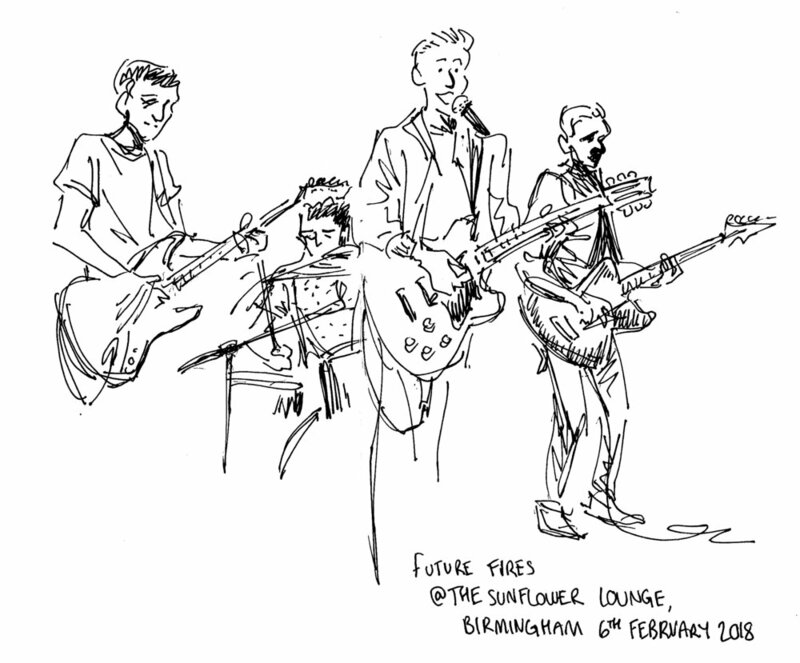 I started sketching bands on location to practice drawing guitars and musicians to inform my music themed comics while I was at University. 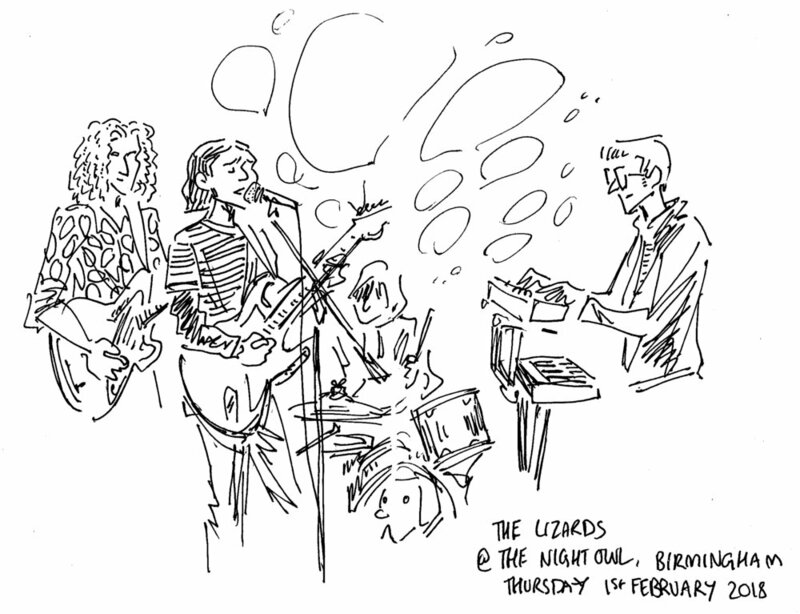 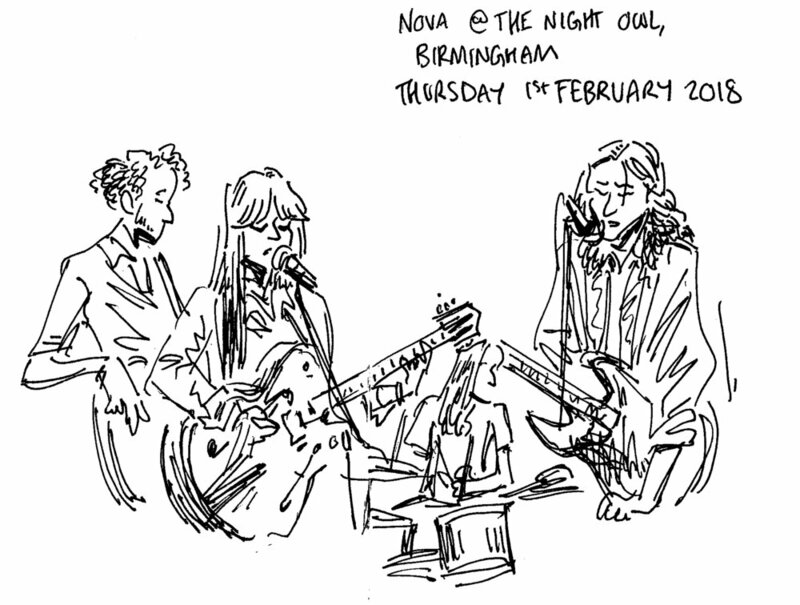 I enjoyed the process of documenting live events this way, and continued to sketch bands until 'gig sketches' became it's own project. 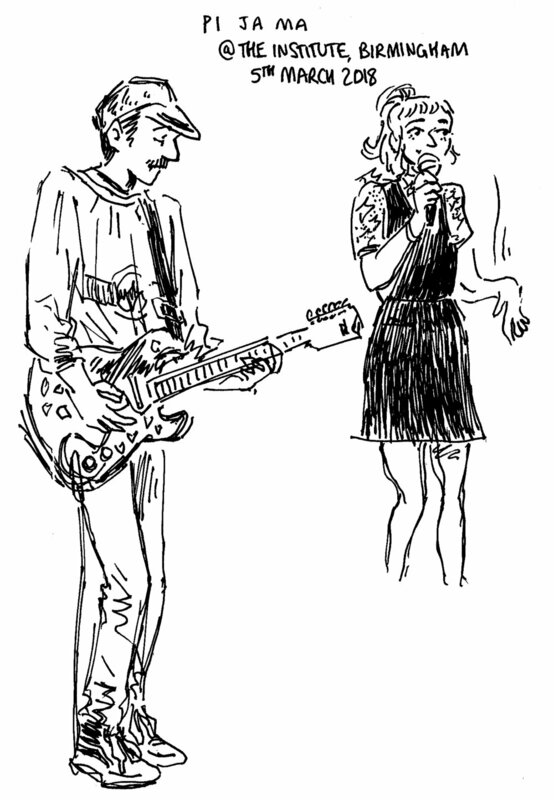 That Music Zine is a tumblr blog where I post all the sketches with links to songs and when I have some free time I compile them into printed zines.